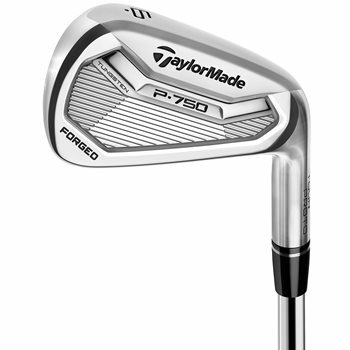 The TaylorMade P750 irons are designed for players who prefer a more compact, forged clubhead for precise shotmaking and immediate feedback through impact. The irons are made from 1025 carbon steel through a new mutli-step forging process that ensures perfect head shaping with minimal hand polishing for a pure players iron with a soft, solid feel. The P750 irons feature a thin topline (thinner than the P770) and progressive offset for a clean look at address as well as a narrower sole and tighter leading edge for improved turf interaction. The 3-7 irons feature a tungsten weight that allows for perfectly positioned CG for optimal trajectory and shotmaking. The P750 irons combine precision craftsmanship with Tourcaliber workability.